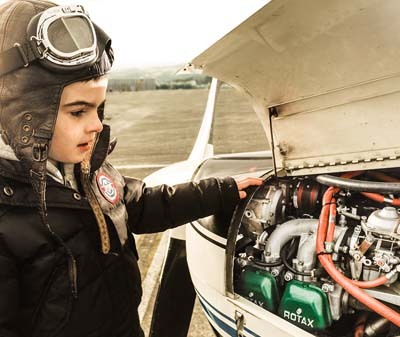 How is it that Rotax so dominates the supply of engines to light aircraft? Many reasons might be cited but one is the superlative training they offer. 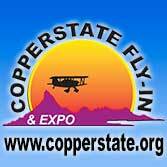 For 2017, the company is going even further, now offering essential training opportunities to the legions who attend airshows in both the USA and Europe. 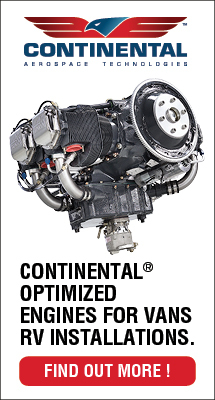 Rotax makes high power-to-weight ratio powerplants that fit in smaller cowlings. Liquid cooling addresses the challenges of keeping motors from overheating, especially in those in tighter engine compartments. 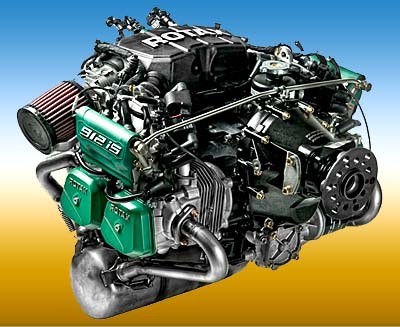 Rotax engines are modern and they keep updating them. They can produce in higher volumes than some competitors, have highly regarded quality control, and their testing facility is state-of-the-art. These reasons and more explain the estimate 75% or higher market share the Austrian company enjoys. The Austrian engine maker said that during Sun ‘n Fun 2017 the Rotax Flying and Safety Club (RFSC) and BRP-Rotax will offer information sessions conducted by experienced RFSC instructors. 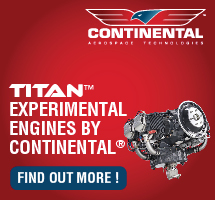 The special workshops are addressed to those who would like to learn more about Rotax aircraft engines in general and about the 100-horsepower Rotax 912 iS Sport aircraft engine installation in particular. 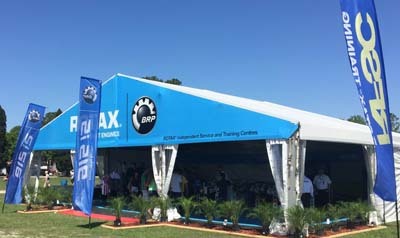 “Three different types of information sessions will be offered at booth SE15 near the main entrance gate,” said a Rotax spokesperson. 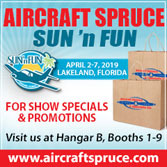 Throughout the week Sun ‘n Fun attendees can register to attend one of the RFSC sessions right at the company’s booth, however, they note seating is limited so they recommend interested parties reserve space early. Rotax’s Sun ‘n Fun exhibit can be found just inside the main entrance gate for the Lakeland show. 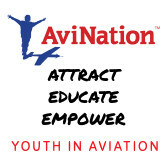 An “Introduction of Rotax Aircraft Engines Familiarization Training” session is offered Tuesday (April 4th) to Saturday (April 8th) from 10:00 to 11:00 AM. This is available for everyone interested in the Rotax product line and it is free of charge. On Tuesday to Friday from 1:00 to 2:00 PM, kit builders or aircraft developers considering use of the newer fuel-injected Rotax 912 iS Sport engine can attend the “Rotax 912iS Installation Information” session. This session is also free. Professionals who work on Rotax engines for compensation can take a “RFSC independent Rotax Maintenance Technician (iRMT) Renewal Course” on Thursday April 6th from 8:00 AM to 5:00 PM. RFSC will cover Rotax 2-stroke maintenance tips. 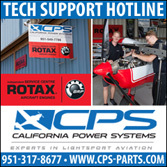 Further workshops related to Rotax engines will be offered by Lockwood Aviation at Paradise City’s forums area. Lockwood will present two iRMT Renewal Courses. The first will be Wednesday April 5th from 10:30 to 11:45 AM covering “Rotax 2-stroke engine maintenance tips” while the second occurs on Thursday, April 6th from 10:30 to 11:45 AM covering “Rotax 912 / 914 service & operating tips.” For these iRMT Renewal Courses please contact Lockwood Aviation at 863-655-5100. 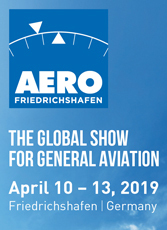 At the same time as Sun ‘n Fun is ongoing, the Aero Friedrichshafen‘s 25th anniversary 2017 event will be held in the picturesque town in the far south of Germany. Rotax will also offer training at this event. Sessions are scheduled for Wednesday and Friday (5 and 7 April) from 1300 to 1500 offered in English; and on Thursday and Saturday (6 and 8 April) from 1300 to 1500 offered in German. All sessions are held in Room Schwarzwald. Rotax is offering aircraft maintenance training at both Sun ‘n Fun and Aero Friedrichshafen 2017; the shows occur concurrently this year. “During these special training sessions the attendees will gain fascinating insights into the world of Rotax Aircraft Engines and the newest engine development, the Rotax 915 iS,” said Rotax. 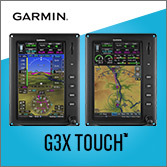 This is their newest engine, a 135-horsepower variant of the 9-series engines and it will be on display on some LSA or LSA-like aircraft at the big German show. Interest should be keen for news about this highly-awaited powerplant. 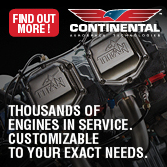 Rotax is a major player in aircraft engines and the dominant producer for light aircraft. 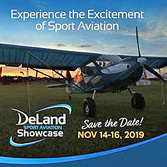 “With more than 175,000 engines sold in 40 years, Rotax aircraft engines lead the Light-Sport and ultralight aircraft market.” The Austrian company has 19 authorized distributors and a network of more than 220 points of sale and repair centers supporting customers worldwide. “Rotax aircraft engines are supplied to more than 80% of all aircraft manufacturers in its segment,” said the company’s spokesperson. Rotax also announced a new owner registration system. Why might this be important to operators of Rotax engines in the majority of LSA and many light kit aircraft? “This new paperless engine registration process offers various advantages for Rotax aircraft engine owners,” said the company. They listed three worthy reasons: (1) Rotax wants to know their customers and how their engines are operated; (2) customers who opt-in receive newsletters and new technical documentation directly from the manufacturer; and, (3) “In case of a reported engine theft, re-registration of this engine will be impossible.” That might not get a stolen engine back but it may help deter theft in the first place. Convinced? You should be. Go here to register.